Hamburg is Germany’s second-largest city, and Europe’s second-largest port city. The roots of its Hanseatic League past are still very evident. 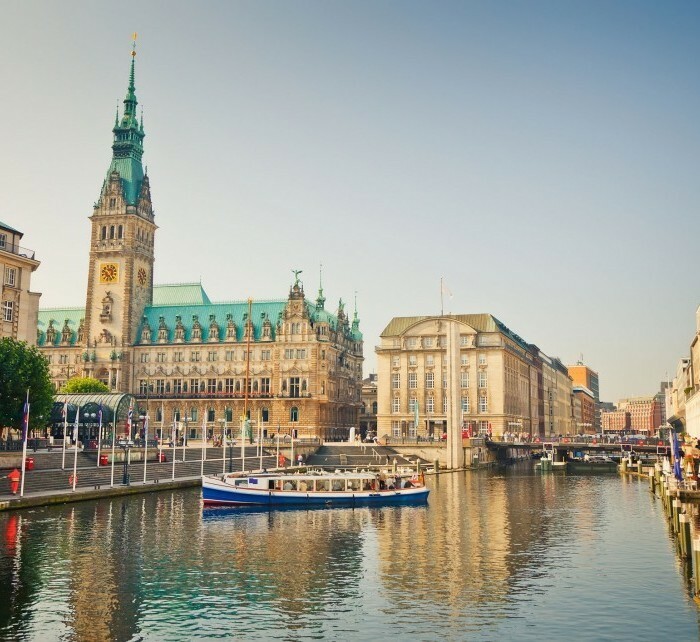 When going for holiday to Hamburg, you will enter an exciting city that never sleeps. There is a lot to do and see, such as visit fascinating museums, wonderful art galleries, first class shopping districts and a vibrant nightlife. You won’t go hungry in Hamburg, as the city boasts many excellent gourmet restaurants. Book cheap flights from Sofia to Hamburg with Flyhi.bg. We offer low cost airlines tickets such as Wizzair, Ryanair as well as traditional airlines tickets. The informational table of direct flights contains the information about the cheap direct flights from Sofia to Hamburg organized by the airlines. The flight schedules of the airlines help to plan a trip in a easy way and find the cheapest flight from Sofia to Hamburg. Knowing the low cost airlines‘ schedule from Sofia to Hamburg, you may perform a more detailed search for the cheapest flights. While selecting the flight, Flyhi.bg suggests paying attention to the flight schedules of the low cost airlines such as Ryanair and Wizzair. Normally, the low cost flight airlines operate low cost flights on business days; therefore, while searching for the cheap flight tickets, it is important to select the flights operated in the beginning and end of week. To obtain the cheapest flight tickets, it is recommended to book them not later than 6-8 weeks until the date of flight with the low cost airlines.